Back in November 2016, I started my FM17 ‘VivaGlobetrotting‘ series where my alter-ego Alejandro Hurtado began his managerial career. He went from Chile to Colombia, managing Deportes Puerto Montt, Union San Felipe and Deportes Tolima. After a brief spell with the Colombian national team (including a World Cup experience), Hurtado moved on to Argentina with River Plate. Getting this high profile job was the event that led to Hurtado’s eventual move to Europe. But before Europe, a quick stop in the USA with Chicago Fire came. Hurtado joined Celta Vigo in the early 2030’s and over the decade he helped them become a constant top 4 club in Spain, regularly competing in Europe and challenging for La Liga. Across the entire FM17 lifespan I only managed in three European countries, two of which came after regens had populated the game. And so for Football Manager 2018 I will be starting in Europe. 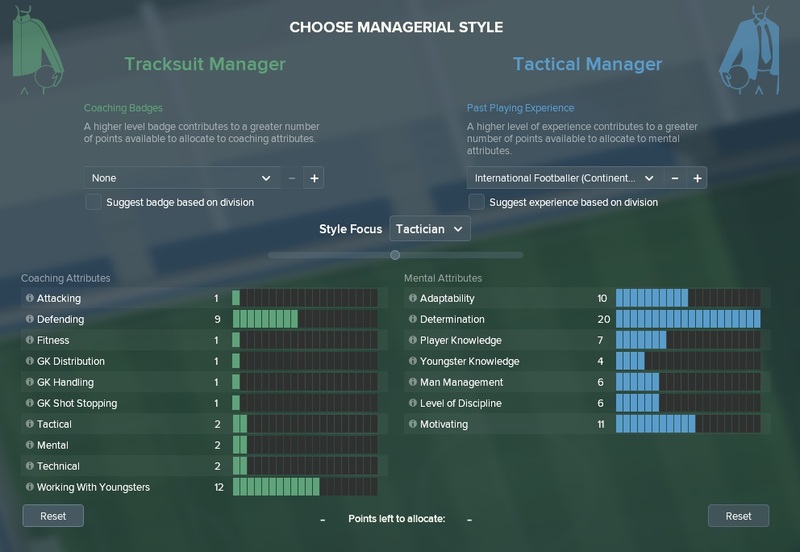 In the build-up to FM18 I released several posts looking at teams to manage in the game. One of the most interesting sides from my series was Ostersund in Sweden. The club was formed in 1996 and have only competed in one top division Swedish season. This came last year and they finished in 8th place. Incredibly, they managed to win the Swedish Cup and qualified for the 2nd Qualifying Round of the Europa League. This means that for Football Manager 2018 Ostersund will be in the Swedish top tier for only their second season but they’ll have the added pressure of playing in Europe. In real-life Ostersund have reached the Group Stage of the competition, knocking out both Galatasaray and PAOK in the qualifying rounds. VivaGlobetrotting began with the aim being to win every playable competition in South America. But the aim developed over the save into winning the Champions League with Vigo. I do like having an aim for a save, but I am in no doubt that it will be fluid and will develop over the course of the save. Alejandro Hurtado is a name that will stick with me from FM17. I created a whole series based on him and another series based on his son, Federico. With journeymen saves players are often forgotten due to the manager moving on and the focus shifting away to another club. I remember many players from having immersed myself deeply into VivaGlobetrotting, but I doubt many of my readers will remember any players. The focus for my FM18 save will be on our manager (although I’m sure certain players will play a prominent role in the series, remember the Jeraldino twins). Over the course of my main FM17 save, I can’t look back and remember many competition wins. I won a couple of Copa del Rey’s with Vigo and a couple of cups with River Plate. Certainly my biggest achievement was winning the Chilean Primera Division with Union San Felipe. But other than that I didn’t really win much. I want to win a lot of things this year, and it all starts with this save. I plan to move about a fair bit to win as many competitions as I can. Let’s hope this starts with Ostersund! On Football Manager 2016 I had a massive database which recorded each and every save I played on the game. I recorded every game I played and made several tables. Below is a table I made with my results in each competition I played in on FM16. This is just a sample from the table, I’d played in many more competitions! The plan is to have this table for my FM18 save and to update it in each post. I also recorded my results for each club I played for and each nation I played in on FM16, I will be doing this again for FM18. I’m looking forward to my FM18 version of this table! Oscar Friberg is an ex-professional footballer (from FM17 of course) who became a Swedish legend. He was born in Helsingborg and began his professional career with Malmo. From there, he played for Manchester City, Barcelona and Southampton where he ended his playing career. Over the course of his career, the centre-back made 355 league appearances for his 4 clubs and was capped for Sweden on 122 occasions. Many expected Oscar to pursue his coaching badges in England after spending many years there, but instead he has decided to return to Sweden where he grew up. Oscar Friberg will be joining Swedish Premier Division side Ostersunds FK to begin our Football Manager 2018 story. One thing to mention… The Swedish football season takes place from March until November, meaning that I’d have several options of when to begin my FM18 save. I will be choosing to start the save at the beginning of the Europe League campaign (19/06) which means that 13 league matches will already have been played in the Swedish Allsvenskan. I have run several ‘test’ saves in which Ostersund have ranged between 3rd and 12th, showing that the loading of a new game will be random. This, though potentially save-changing, doesn’t really bother me. I think it makes for a better story with Oscar Friberg joining the club midway through the season. Thank you very much for reading our introduction to a new Football Manager 2018 story here on VivaLaVidaFM. I’m very much looking forward to the save. This entry was posted in FM18 Stories, Football Manager 2018, Oscar Friberg, Ostersunds FK | @VivaLaVidaFM and tagged allsvenskan, fm stories, fm18, football manager, Oscar Friberg, Ostersunds FK | @VivaLaVidaFM, sweden. Bookmark the permalink. Great fun! Im from Östersund and a fan of the club. One thing though: Its NEVER Östersunds (with an s in the end). Its either Östersund or Östersunds FK, which means Östersund’s Football Club, or short ÖFK.